We think that passions are going to pop up out of thin air. Once I find my passion, I’ll know. News Flash: Our passions are not going to appear to us because we beckoned. We can’t meditate our passions into being. Passions aren’t found, they’re excavated. There are people who say their passion is to own a small antique store but they are unwilling to put in the time and effort going to trade shows or networking with people in the field. They are hoping that the lease and deed to a lovely, quaint antique shop will fall into their laps so that they can live their passion, and until that happens, they will tell everyone what their dream is. This is about as productive as a stationary conveyor belt. 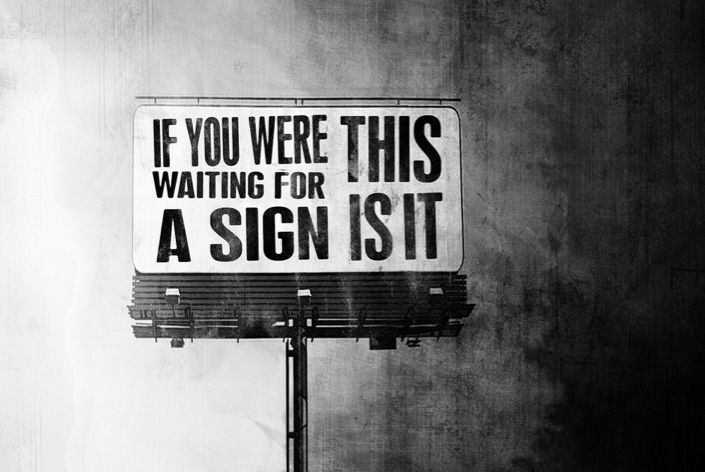 For the people waiting to find their passions, how long are you going to wait? What will waiting get you? In reality it will only get you less years to do something meaningful in your own eyes. Want to know how to “find” your passion? Do Something. Anything. Join a class. Research. Ask. Try. Fail. Learn. Study. Sacrifice. Commit. Move forward towards something. Figure out what you don’t like. If your passion was just going to materialize in your life, it would have already. We have to stop saying, “I want to find my passion” as if it was an Easter Egg under a rock. No, we have to start chiseling and chipping away at a rock. Instead of focusing on your passion, get really good at something you like enough. You never know the doors that will open and what tangents will materialize. But after learning, meeting people, connecting and supporting others, something will trickle through the stream of life, down your rock face and lo and behold an opportunity will present itself. Could you have predicted this chance? Never in a million years. Would this opportunity have found its way to you if you hadn’t put in the time, nurtured relationships, educated yourself on a topic, worked for free? Categorically no. You can’t think your way into your passion. You can only find out when you get your fingers dirty. Sorry, I wish there was an easier way. Find what you love and do it now? No. Instead, find something you’re interested in, get involved, then see what happens. Tinker. Failure. Bolder. Try. Passions change. You will change. There is no golden goose to your life’s trajectory, but you have to get your feet wet doing something. Stop saying, “I need to…” or “I should start…” or “I am going to…” or “I want to…” Do. Enroll. Start. You’re not getting any younger and I assure you your passion is not waiting for you around the next bend. He didn’t sit there and twiddle his thumbs and say, “I just want to own a record store and an airline but I don’t know where to start.” Instead, he had an injured leg and he liked music, so he started there. What things will you start today that will inch you forward in a direction you claim you enjoy? Comment at the end of the post.